Another manicure inspired by Pinterest (specifically this one), this is pretty much a copy, except it’s matte. So, in essence, it’s a completely original idea I had all by myself. Hooray! I’ve been totally obsessed with matte nails for ages, and it’s fascinating what a difference it can make to the overall look just to take off the shine. Somehow it looks more… I’m trying to think of a word other than polished, but I can’t. Holy contradiction, Batman! At my local Boots, I found a grand total of three different orange polishes and ended up plumping for Maybelline Orange Attack, as it was the most vibrant. I always use Nailtiques Formula 2 Plus on my nails, as they are very weak and need all the help they can get. After that, a couple of coats of Orange Attack, then a couple of L’Oreal Confetti Top Coat, then one of Seche Vite Dry Fast Top Coat. 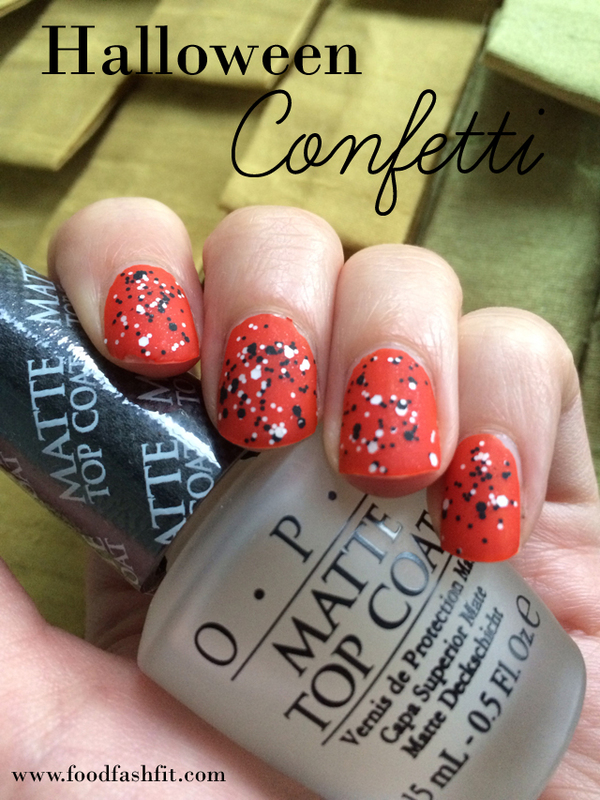 Then, the finishing touch – a swipe of OPI’s Matte Top Coat to finish. Looks good your mani. 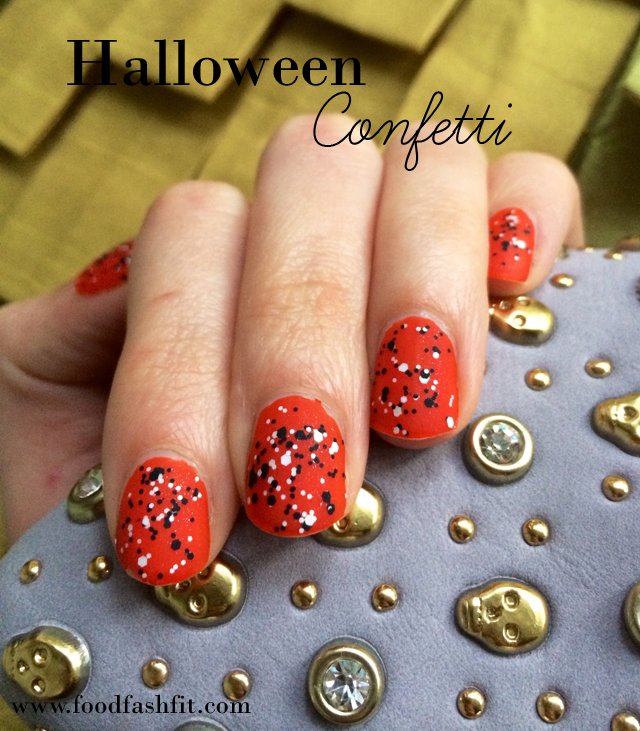 And now is def the season to wear orangy polishes! What a fun DIY! I love it! Thanks so much for sharing! And I like it in matte too!